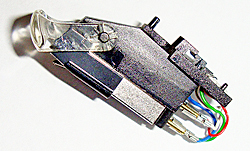 Acos produced produced various ceramic cartridges for fitment to standard and auto-changer record players in the 1950's and 60's. These record players were supplied with a range of 78, mono, LP and stereo ceramic pickup cartridges depending on model type. The most common stylus form fitted is the flag turnover type having a 78 rpm needle on one side with an LP/Stereo needle on the other. 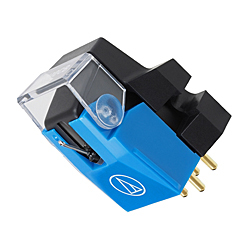 Audio Technica has long been recognised as a world leader in phonographic cartridge design and production. We are pleased to offer a wide range of models designed to match turntable/tone arm requirements, performance levels and budget considerations including AT81CP, AT85EP P Mount Cartridges, AT91, AT95E, AT95EX, AT-VM95C, AT-VM95E, AT-VM95EN, AT-VM95ML, AT-VM95SH, AT-VM95SP, VM510CB, VM520EB, VM530EN, VM540ML, VM610Mono, VM750SH dual moving magnet cartridges and AT-F2, AT-F7, AT-OC9 Mk II, Mk III moving coil cartridges. BSR - Birmingham Sound Reproducers produced a range of standard and auto-changer record players in the 1950's and 60's. These were widely acclaimed and very popular at the time. 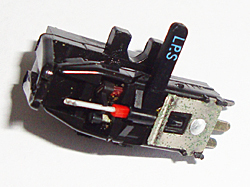 The record players were supplied with a range of 78, mono, LP and stereo ceramic pickup cartridges depending on model type. The most common stylus form fitted is the flag turnover type having a 78 rpm needle on one side with an LP/Stereo needle on the other. Bulk supplier packaged. We have no information regarding compatability with older players other than those listed. Denon built the world's first stereo moving coil cartridge in 1951 and have been masters of the art of cartridge design ever since. 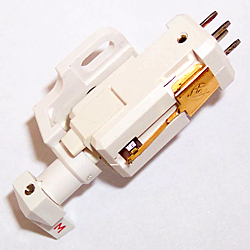 Dual cartridges are no longer manufactured and some have special integral mounting fittings unique to Dual so it is not possible to substitute an alternative standard mount cartridge without an adaptor that is no longer available. Mantra Audio still occasionally are able to source original residual stock as shown under this section. 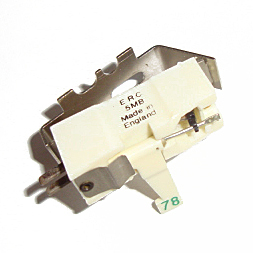 ERC - Electronic Reproducers (Components) Limited were manufactures of a range of sapphire gramphone needles and pick-up cartridges in the 1950's and 60's. 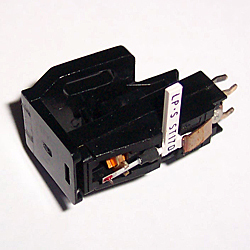 Various gramaphone and record record player types were supplied with a range of 78, mono, LP and stereo ceramic pickup cartridges depending on model type. The most common stylus form fitted is the flag turnover type having a 78 rpm needle on one side with an LP/Stereo needle on the other. 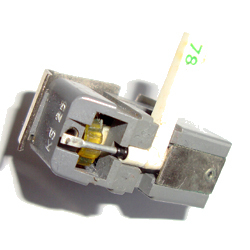 Some original and substitute ERC cartridge types are still available today as listed . We have no information regarding compatability with older players other than those listed. 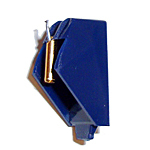 Goldring has used its vast experience and knowledge in the field of high quality musical reproduction for over 80 years to design and produce the advanced range of cartridges offered here including the first budget upgrade new E-Series through to the 1006, 1012GX, 1022GX & 1042 most highly rated moving magnet range to the latest 2100, 2200, 2300, 2400 and 2500 moving iron cartridges and Eroica LX, Eroica H (high output), Elite and Legacy moving coil cartridges. Grado cartridge designs offer many advanced features and are hand built to exacting standards. All Grado cartridges now use use a derivation of the moving iron principle that feature patented optimised transmission line cantilever technology, pivoted fixed axial stylus generator module and Grado's flux-bridger generator system. The resulting absence of resonance and considerable tip mass reduction extends the frequency response to 50 kHz and beyond. 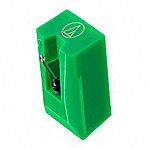 Nagaoka has always been one of the best names world wide for fine cartridges accessories. A few years ago, Nagaoka completely revamped their line of Moving Permalloy cartridges and brought the line to the market as the MP-100 series replacing the previous MP-10, MP11, MP-15, MP-20, MP-30, MP-50 cartridges. The MP-100 series involves an already excellent entry level cartridge MP-100 right up to the state-of-the-art top model MP-500. 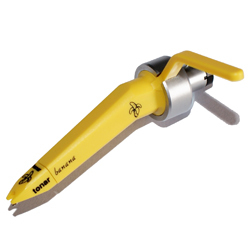 We are also able to offer some fine quality older (new) original cartridges including the highly regarded JT-120. Philips cartridges have not been manufactured for many years but Mantra Audio still occasionally are able to source obsolete original stock and the occasional substitute cartridge. Ronette produced a range of standard and auto-changer record players in the 1950's and 60's. These were widely acclaimed and very popular at the time. The record players were supplied with a range of 78, mono, LP and stereo crystal and ceramic pickup turnover type cartridges depending on model type. The stylus types fitted generally had sapphire or diamond tips profiled for either 78 RPM (N)ormal or (M)ono/LP/(ST)ereo record playback. 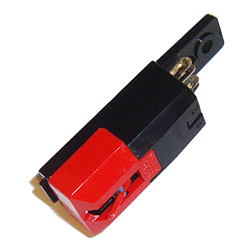 Sanyo still produce ST05 and ST09 cartridges and these are fitted to many Bush, Denon, Ion, Sherwood, Soundlab USB type records players available on the market today for digitising vinyl direct to PC, Mantra Audio still occasionally are able to source obsolete original stock and the occasional substitute cartridge. 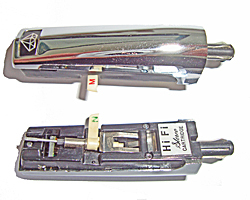 Shure was founded in 1925 and in 1958 introduced the World'd first successful stereo phonograph cartridge. Since then Shure has established itself as an undisputed leader in the production of high performance moving magnet cartridges. 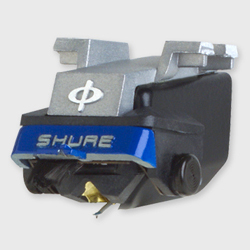 Shure cartridges are distinguished by their high groove tracking ability and natural sound reproduction. Shure has led the industry in reducing stylus tracking force to offer cartridges that are extremely vinyl friendly allowing records and stylus tips to last longer. All Shure cartridges employ the gentle tracking moving magnet structure characterised by low stylus mass invented and patented by Shure which made true high-fidelity possible. The Swiss company Sontra offerered a range of medium to high specification moving magnet cartridges and a range of crystal and ceramic mono and stereo cartridges. 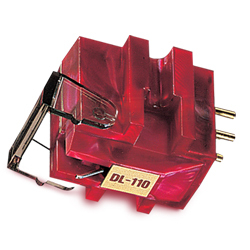 These are no longer manufactured but there are still some crystal and ceramic cartridge stock available with outputs that are compatible with auxiliary inputs on integrated amplifiers. 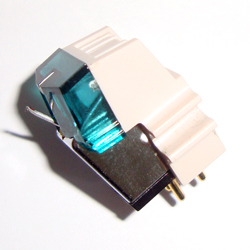 Check this section for the highly acclaimed Sumiko Blue Point Special high output moving coil cartridge. 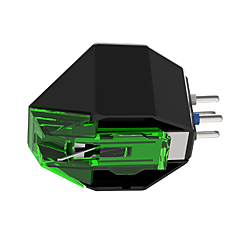 The Sumiko series of phono cartridges are the result of two decades of cartridge design offering superior construction and sound quality with an emphasis on real world performance. 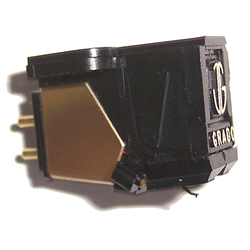 See this section for a selection of old new Technics/National Panasonic cartridges that are no longer produced that Mantra Audio are able to obtain from time to time. Tonar was established in 1954 and has since become a world specialist in the production of replacement phonographic styli (needles) and cartridges used for home HiFi and by disc jockeys worldwide and replacement styli (needles). The cartridges offered here are primarily for professional DJ use.